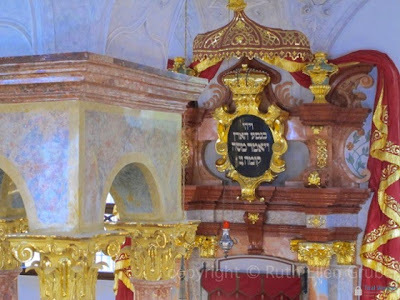 The newspaper USAToday has run an interview with me by Larry Bleiberg, in which I note 10 of my favorite Jewish heritage sites -- not just in Europe, but also a couple in the United States. I gave him a much, much longer list, but he had to pare it down to just 10, to keep variety and also geographic spread -- alas, as he had to leave out some of my very favorite places. 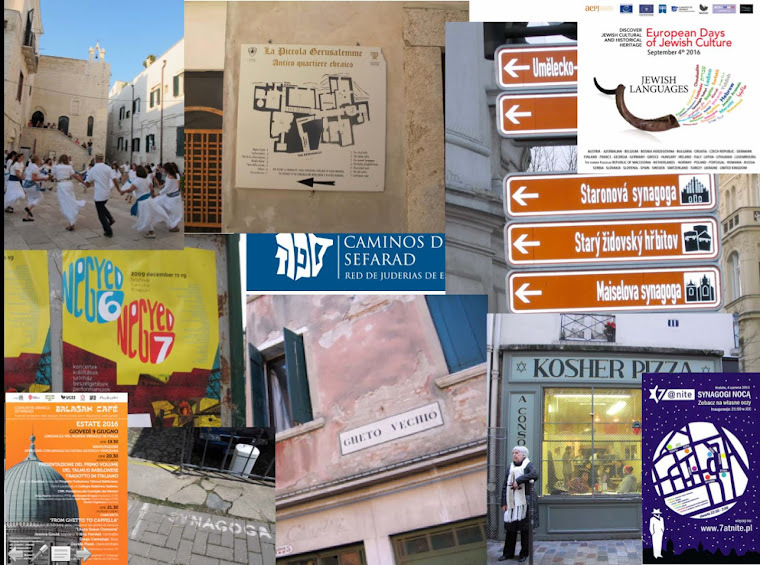 The article runs in the travel section as 10 Great Places to Experience Jewish History. The 10 include: the art nouveau synagogue in Subotica, Serbia; the ghetto in Venice; the Amsterdam Jewish Cultural Quarter; the Hamburg Altona Jewish cemetery; the synagogue in Iasi, Romania; the pioneer Jewish cemeteries in the American west; KKBE synagogue in Charleston, SC; the Belzec Nazi death camp memorial in Poland; the 10 Stars project sites in Czech Republic; and Sataniv and other fortress synagogues in Ukraine. 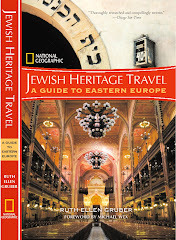 When my book National Geographic Jewish Heritage Travel, a Guide to Eastern Europe came out in 2007, JTA also ran a story asking me to list my favorites -- the geographic scope was more limited, so the list is a bit different, though it does include some of the same sites, such as the synagogue in Subotica, the Belzec memorial, fortress synagogues including Sataniv, synagogues (like Iasi) in northern Romania, and the synagogues and Jewish quarters in the Czech Republic -- see it HERE. It includes: the historic Jewish cemeteries and painted synagogues in northern Romania; the Jewish cemeteries and fortress synagogues in Ukraine, including Sataniv; the baroque synagogue and Jewish cemetery in Mad, in northeastern Hungary; the synagogues in Lancut, in southeastern Poland, and in Tykocin, in northeastern Poland; the old Jewish quarters, synagogues and cemeteries in small towns the Czech Republic; anything to do with the Hungarian architect Lipot Baumhorn (1860-1932), modern Europe’s most prolific designer of synagogues, such as the grand synagogue in Szeged, Hungary, and Baumhorn’s tomb in the Kozma utca Jewish cemetery in Budapest; the remaining few wooden synagogues, about a dozen of which survive in out-of-the way villages in Lithuania; the elaborate synagogue in Subotica, Serbia; the Holocaust monument complex in Belzec in southeastern Poland; The Holocaust memorial in Plunge, Lithuania, which features a profoundly moving installation of massive wooden sculptures by the late Jewish wood-carver Jakob Bunkas and his artist friends.